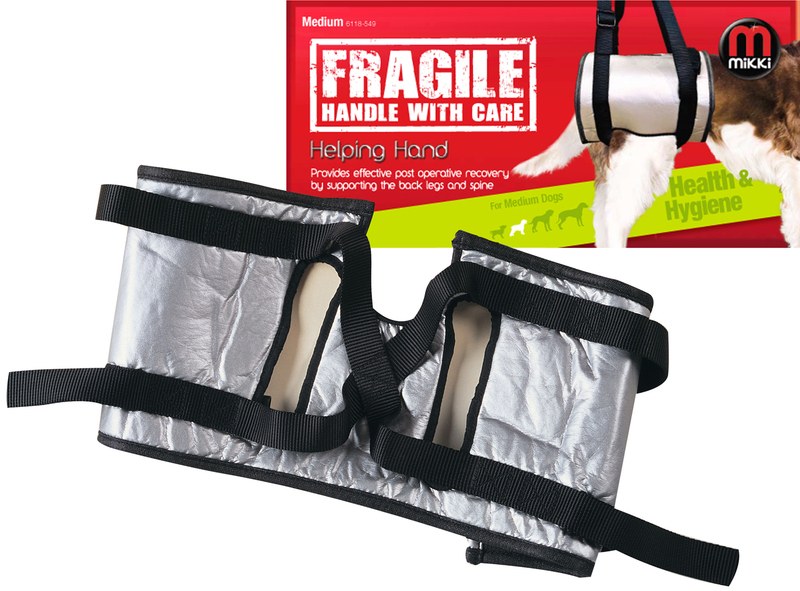 Mikki Helping Hands Dog Lifting Harness enables the handler to take much of the weight off the hind legs whilst allowing the front legs to function normally, Thus allowing the dog to exercise which will aid circulation during a convalescent period. Note: Discuss the use of the Helping Hand with your veterinary surgeon and take appropriate advice on fitting and exercise. There are currently no questions for Mikki Helping Hands Dog Lifting Harness - be the first to ask one!